There are certain points of commonality between Overwatch and Heroes of the Storm, chiefly the fact that they’re both team-based combat games starring a variety of colorful characters without much of an actual narrative beyond backstory. What they don’t share at this point are any characters, which might seem a little bit odd — if Heroes of the Storm is drawing from all of Blizzard’s property, you’d think we might get at least a Tracer or a Winston in there. Community manager Trikslyr weighed in on the topic on the official forums, stating unequivocally that there will be no Overwatch heroes in Heroes of the Storm while the former game is still unreleased. After launch, there’s a definite possibility, but nothing has been decided just yet. 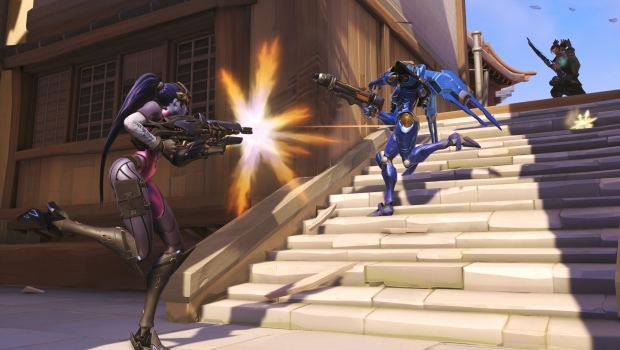 There will be no addition of an Overwatch hero until the game officially releases. At that point, it can become a possibility. Personally, my fingers are crossed. Playing Tracer in Heroes would be legit. This also makes sense; with all of the development time going into Overwatch, it would be a little bit weird to have all of these characters technically premiere in a game before their main game. That’s usually Nova’s trick, after all.